Every Friday we introduce you all to a PreSonus employee that’s not just here for the paycheck, but also here because they love and use PreSonus products outside of the office. Today’s feature currently holds the title of “Greatest Beard of All Time.” He knows everything there is to know about growing, grooming and maintaining a beard–it’s a lifestyle, not a choice for him. He also knows basically everything about the StudioLive Series III because he helped engineer them. Here’s Ray Tantzen! Four years and six months. Knowing products that I’ve worked on help wonderful artists create and perform. What was the first 8 track, cassette, CD, digital download you purchased? 8 track was the Village People. Cassette was Beastie Boys, Licensed to Ill.
CD was Micheal Jackson, Bad. Digital Download was Pearl Jam, Man of the Hour. Dad, Husband, Church sound mixer, Beard mastering. What do you love about the StudioLive Series III? What’s NOT to love 😉 The workflow is awesome. It’s super easy to just jump on and use. I also love having the different EQ and compressor models available. It adds a whole new layer to the sound. And of course there’s the multitrack SD Card recording! There’s no need to mess with a computer to record. They’re all available now and shipping worldwide! I also have an RML 16AI, CS18AI, Studio One, Notion, AudioBox iOne, ADL600, HP4, and just got a Quantum Thunderbolt interface. I’m hoping to get some Sceptre monitors and ULT PA speakers soon. Why did you choose the Series III as your favorite? I love having a mixer as the centerpiece of my home studio and the StudioLive 24 is a perfect fit. 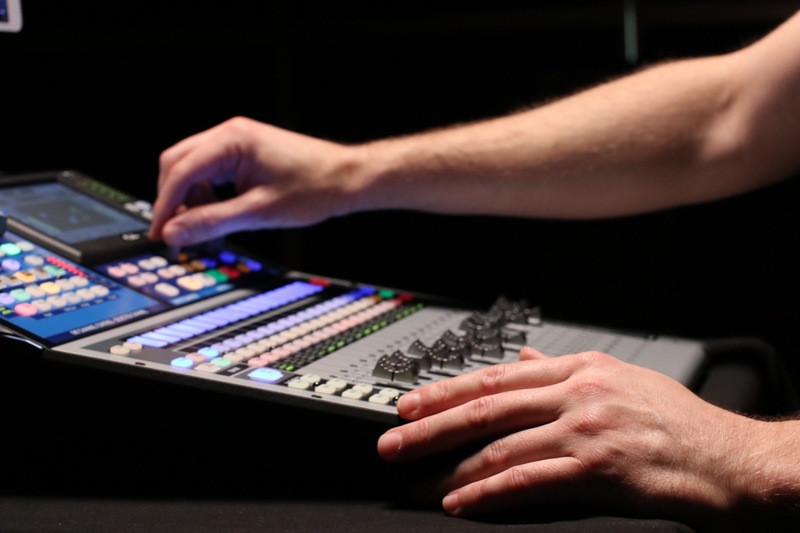 It has a smaller footprint than the 32 but still has the split-layer fader workflow and is still a full 32-channels under the hood. I have it connected to my Mac Mini via AVB to also use as an interface for recording. Plus is sounds incredible and I can take it out for live gigs when needed. I’m also really looking forward to the stage boxes and DAW control coming later. That will be the cherry on top! AND it’s shipping as of this week! Tell us about the coolest thing you’ve done with PreSonus. The most exciting event I’ve been involved with hands down has to be Deadmau5. He had a StudioLive 32.4.2AI for his touring system and on the most recent tour with the Cube 2.1 he had so much bass on stage that the FireWire cable in the computer would start to shake loose. 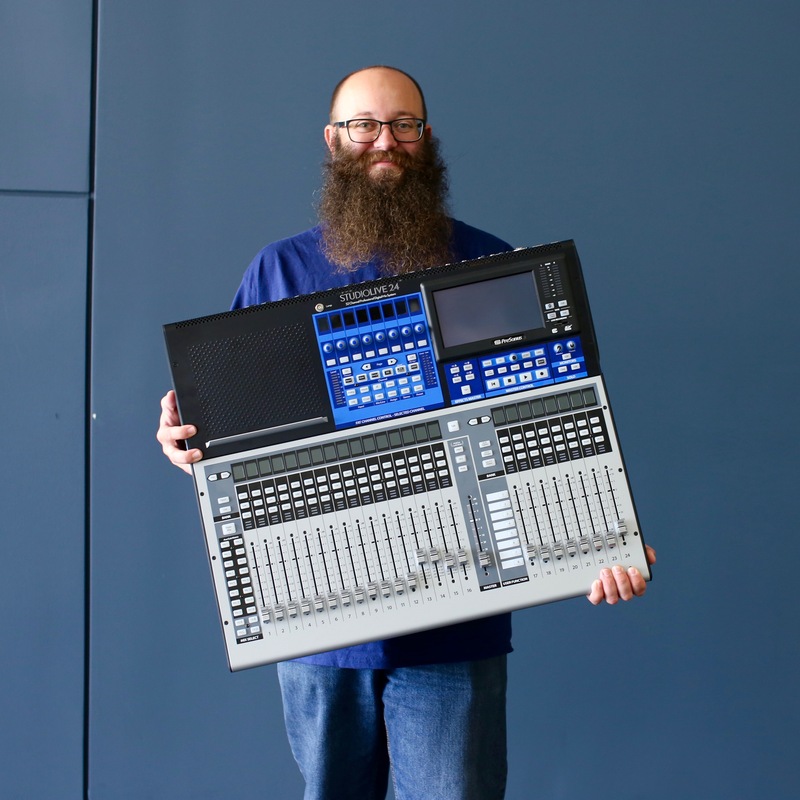 When he found out the new Series III mixers had AVB he wanted to upgrade immediately. Since the Series III had just started shipping and he was in the middle of the tour we wanted to make sure things transitions to the new mixer smoothly. So I got on a plane and meet up with his crew in Seattle to help set up the new mixer and show him how to use it. The first night I sat behind the Cube so I was nearby in case something went wrong. The show went great and there were comments about the sound being even better with the Series III. The second night I got to enjoy the show from the audience and it was amazing! He has put together a great show and the sound and live mixing/performing he does was top notch. I could tell you, but then I’d have to kill you 😉 What I can talk about is the upcoming stage box solutions and DAW control for the Series III mixers. After that, you’ll just have to wait and see! Spend a little extra time before your show to setup custom layouts on the fader User layer and Fat Channel User layer. This will really help to put what you care about most right where you ant them for faster and easier mixing. The beard is real, I’ve had it for 10 years, there are actually some competing beards here at the office.